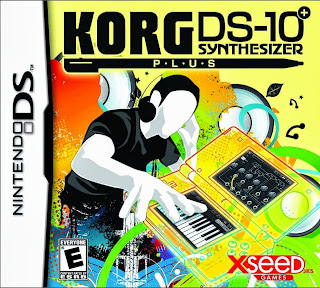 Calling Korg DS-10 Synthesizer Plus a "game" is admittedly a stretch. There are no bosses to battle, no points to score, and no way to beat it. As a piece of mobile software, though, it's powerful, fun, and yes, educational. It's essentially an electronic music composer, putting complex controls into a simple, modular interface that makes learning the ropes a true joy. Korg DS-10 Plus puts you in control of an analog synthesizer and 12-track sequencer (on the DSi, 6 on the DS). If that sounds overwhelming, don't worry: the twelve tracks are spread over two decks, and four tracks on each deck are dedicated to a drum kit. 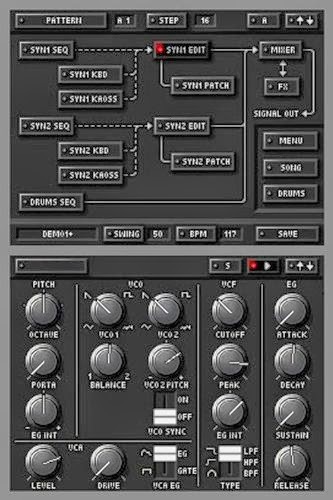 That leaves two synth tracks plus drums on each deck, plenty to begin your first foray into creating electronic music. Your first real decision is on the number of steps, or beats, in your pattern, but 16 works the vast majority of the time. You can also select your tempo, between 10 and 250 beats per minute, though that can be altered at any time. Every sound in this program is customizable. 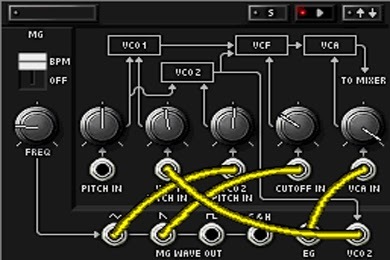 Each drum can be edited with a bevy of knobs and switches, further altered through a patch bay, and given effects like delay, flanger and chorus. Furthermore, each individual step of each drum can have its pitch, gate, volume and pan individually adjusted – so every kick doesn't have to sound the same within a pattern. A final mixer controls the relative volume of each track, and a final effects bay lets you apply delay, flanger and/or chorus to all tracks, just the drums, just the synths, or just to one of the two synths. You can build up to 16 patterns this way. 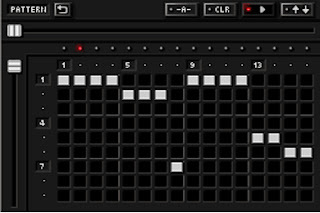 Each pattern can have its own synth and drum sounds and effects, but you can copy from one to another so you don't have to rebuild your customized timbres every time. Those patterns can then be arranged into a song 100 patterns long, or you can choose to trigger patterns manually. With a pre-arranged sequence of patterns, you can still interact with the music in real time. One way is to continue to edit each pattern as the song plays, but that requires you to be in the right pattern constantly. 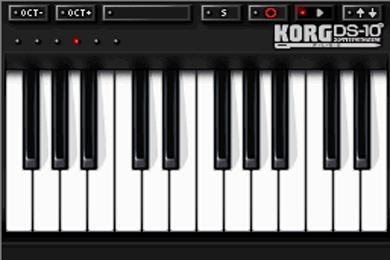 It's much simpler to select one of the keyboards in one of the patterns and play on that, overriding that synthesizer whenever you play. There are also three Kaoss pads to choose from: gate/note, volume/pan, and peak/cutoff (or whatever you configured a couple paragraphs ago). 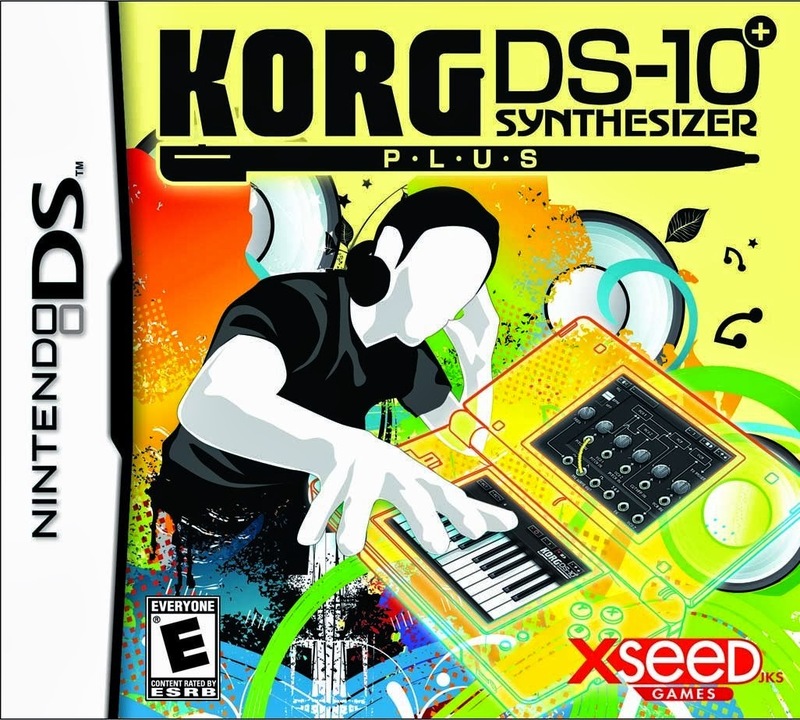 You can save up to 18 full sessions onto your game cartridge and share them with other DS or DSi consoles, but the inclusion of other export options would have made Korg DS-10 Plus a truly extraordinary composition tool. Saving patterns, songs, or individual tracks as audio files to the SD card in a DSi would allow sample-perfect copies of your creations to be mixed into more expansive pieces using desktop multitracking software. A MIDI export option (like the one promised in the M01D for 3DS) would preserve the actual sequence, letting you change instruments and effects in other programs. As it is, you can record whatever you want through the analog headphone port – a little old school, but it works. 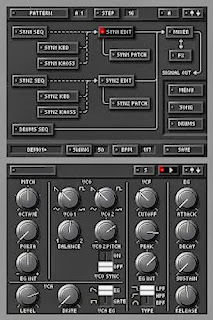 If you're curious about electronic music composition but weren't sure how to jump in, Korg DS-10 Plus could be your ticket. The publisher even offers video tutorials on its Web site. The game won't teach you everything (like what the heck a "gate" actually is), but it's a great start.